In partnership with a leading CCM provider, the VOX+CCM Program creates a Seamless Continuum of Patient Management across your patient’s chronic and acute episodes of care. CCM is defined as the non-face-to-face services provided to Medicare patients with two or more chronic conditions. In addition to office visits and other face-to face encounters (billed separately), these services include communication with the patient and other treating health professionals for care coordination (both electronically and by phone), medication management, and 24/7 access to clinical support. Previously, patients with 2 or more chronic conditions fell through the cracks of the healthcare system due to a lack of coordination and proactive intervention. Now, through this turn-key solution, patients enjoy a concierge-like, wrap-around service that empowers them to be more active in their prescribed care plan while having access to 24/7 clinical support. 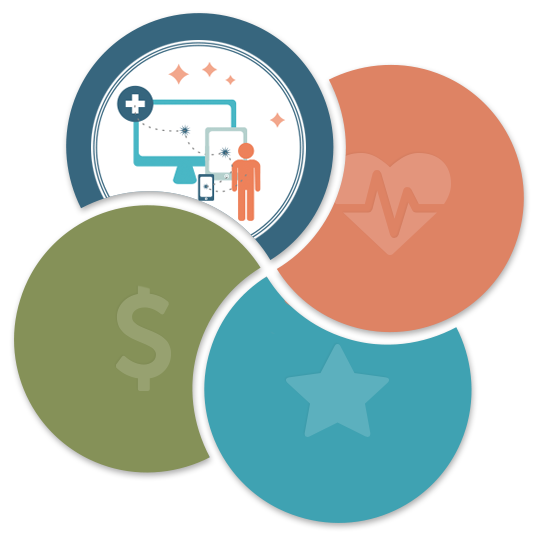 With 18+ months of evidence, CMS is actively expanding the reimbursement opportunity to encourage enrollment due to the improvement in patient compliance and reduced cost of care. In 2017 patient recruiting and on boarding will be made easier and reimbursement will be increasing with additional time codes. New rules will allow providers to enroll patients without requiring a visit as long as they are existing patients and have been seen within the last year. The rules also eliminate the need for written consent as long as key provisions are explained to the patient and documented in the EHR. Increased reimbursements include a $63.68 reimbursement for enrollment and approximately $92 reimbursement for additional time (> 60 minutes) and monthly support spent managing CCM patients. There is also a code an additional 30 minute increment that pays $45.00. For example, 90 minutes of non face-to-face time spent with a patient could reimburse approximately $137 dollars. 2/3 of all Medicare Beneficiaries have 2+ chronic conditions and qualify for the program. Along with our partner, the VOX+CCM Program is a turn-key solution that fulfills all monthly services to provide better care and a better experience for your patients while optimizing reimbursement for enrolled patients. How Can This Generate Revenue? Our industry-leading technology and care coordination services are designed to not only improve your patients’ experiences and medical outcomes, but also increase your profitability. Enter the number of Medicare patients you see below, and see what chronic care management can do to your bottom line. 1. Per the MGMA Cost Survey for Single Specialty Practices: 2013 Report Based on 2012 Data specific to the specialty of family medicine. Includes Medicare A/B and Medicare Advantage. 2. CMS.gov – County Level Multiple Chronic Conditions (MCC) Table: 2012 Prevalence, National Average. 3. Reimbursement amount from the CY 2016 Physician Fee Service Final Rule, October 30, 2015, averaged across 89 localities. Let us show you how the VOX+CCM Program creates a Seamless Continuum of Patient Management across your patient’s chronic and acute episodes of care.